Yes, you can lighten your hair with honey. 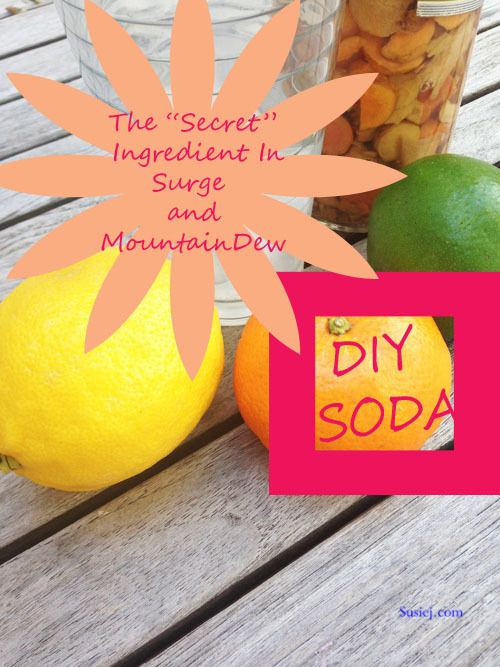 This is a homemade natural hair highlight treatment that works. See Ktani’s research here. You will need patience and perseverance, depending upon how “light” you want to go. 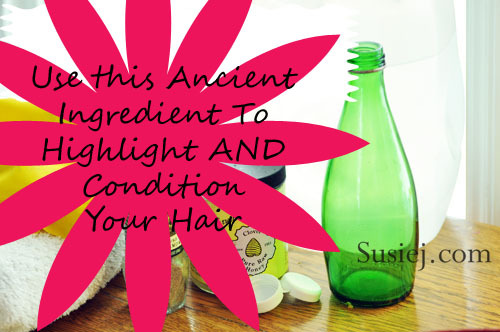 This natural home hair lightener for brunettes, and natural hair highlighter for blondes is safe, and can be an organic hair highlighter depending on which honey you choose. Here is a list of successful honeys to be used for naturally lightening your hair. What you will be doing is activating the natural peroxide that occurs in honey. This peroxide does not damage your hair, and honey is a humectant, which means it attracts and retains moisture on hair and skin — so not only does it lighten, but it deeply conditions your hair. Time: What you need are two hours. Prep time is only 15-20 minutes, though. The rest of the time, you’ll just be waiting on the honey – so you’re free for most of those two hours to do whatever you need to do – at home, preferably. Swim caps look a bit suspicious at the grocery store. Distilled Water: This is a must-have. There a minerals in tap water and even spring water will interfere with the minerals and peroxide in the honey. Buy a jug of distilled water. Ground Cardamom: This is simply a spice, similar to cinnamon, that also holds a large amount of peroxide. Cinnamon does too— but cinnamon will burn your skin and your scalp. Seriously – stay away and use cardamom. Cardamom has more peroxide than cinnamon, and has no adverse effects on your skin. A flip top cap: This mixture clogs a sprayer, and as much as you wish you could, you can’t spray this into your hair. You need to “pour” it slowly into your hair. Ironically, the cap of a hydrogen peroxide bottle fits on top of the little green glass Pellegrini bottles. I like to use glass so I can see if everything is mixed well. You can use a rinsed-out shampoo bottle, but it will be harder to see to ensure everything is mixed. A swim cap. A shower cap will be too loose, and the honey will drip away. You could, I suppose use plastic wrap if you are quite gifted at wrapping your wet hair in plastic. A towel to catch the drips. Optional: Pure extra virgin olive oil or coconut oil. Olive oil has a higher peroxide value than coconut oil. Suggested recipe amounts for the oils are 1 tablespoon or less in total, per treatment. This is an additional lightening booster, but I find it quite difficult to wash all of the oil out of my hair. The ratio to keep in mind is 4 times the amount of water to honey, calculated by weight. At room temperature, measure and mix the honey and water in your bottle. Then, you add your boosters – the cardamom and the oil if using. I usually add a tablespoon of cardamom. You can’t overdo it or underdo it. Let the honey water mixture sit for 1 hour at room temperature. Do not heat this in the microwave – just let it sit, to allow the honey to produce peroxide. After one hour, take your bottle, shower cap and towel to the sink, or shower, begin to pour the mixture into your DRY hair. Start with your roots, and use the ends of your hair to catch the drips. Do this slowly, so that your hair has a chance to absorb the mixture. If you’re very messy, put a bowl in the bottom of the sink to catch the drips so that you can re-apply this natural hair highlighter mixture. Once your bottle is empty, and your hair is completely wet, pull that shower cap over your hair, tucking the ends of your hair under the cap. 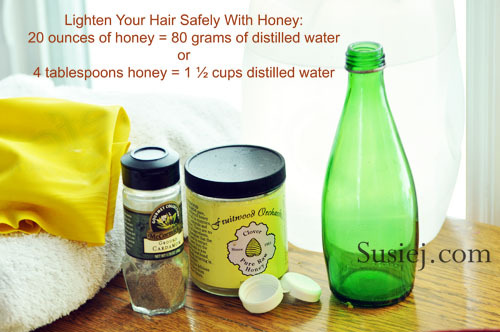 Your hair must stay wet with the honey mixture for 1 hour to let the natural ingredients begin to lighten your hair. Grab your towel and wrap it around your head, over the shower cap, turban style, to catch the drips. For an extra lightening boost to brunette and blond hair, and if you have the time – you could, at this point, start another honey mixture to let it sit for the hour while this first mixture sit on your hair. Then, in an hour, you can reapply a second batch. It’s impossible to damage you hair with this treatment by doing it too much. In one hour, the honey has done its work. You can now reapply, or pull of that shower cap, and step into the shower and wash the honey out of your hair. Once the water from the shower hits your hair, the honey just dissolves right out. I am tempted to let the honey sit overnight, but have not yet done so. The experts say, an hour is all you need – but I’m still curious to try it. What can you expect when you start using honey to lighten your hair? I never intended to post this story. I researched the information, and just tried it out, and I did not take before and after pictures. I am posting now, because so many people have stopped me to ask me about my hair color, and encouraged me to do this post. After 1 treatment, your hair will be slightly lighter, but remarkably soft and lush, and very shiny. After 3 treatments of this natural home hair lightener, you will see some clear definite signs of lightening – it will be subtle. It will be nothing as dramatic as walking out of a salon with a fresh weave of color – yet, this will be prettier and more natural looking. You realize that you can’t “overdo it” because honey can’t hurt your hair – so you give it another treatment – your fourth one this week! And you can hardly believe your eyes. This is so much better than using those chemical coloring that leave your hair dry and brittle. At this point, you will probably be committed to naturally lightening your hair with honey. You know that if you can just work this regimen into your bi-weekly routine, you will no longer need to be dependent upon your hair dresser to help you get rid of that “line” of demarcation that occurs at least every 6 weeks from chemical colorings. You get a bit frustrated, because no matter what you do, you still cannot get your roots to be as light as the ends, which have already had this treatment four times now. So, you head to your hair dresser, because you are tired of the extra work. You just want to sit in a chair, and have him color your whole head, all at once – and you could care less about that dramatic line that will show up in 6 weeks. Let’s just do this. Instead – he says, “You know that ombre look is really popular right now – and you have it! … Your hair has never looked so good.” He sends you home with a new trim, yet without color. You relax a bit, because this is so subtle, that you realize if you skip a month or two, you’ll be fine — there is no tell-tale line that you must hurry up and cover. The honey will be waiting for you as soon as you get to it. Then, you run to the kitchen to do one more treatment. What are the benefits to using honey to lighten hair? As I sit with a shower cap on my head, using a towel to catch the drips, I start to wonder if this whole thing is worth the trouble – and you will too. That’s when I let my mind jump back to the facts: not only am I lightening my hair with natural ingredients, but I am deeply moisturizing and conditioning my hair at the same time with honey. The vitamins present in honey are B6, thiamin, niacin, riboflavin, pantothenic acid and certain amino acids. The minerals found in honey include calcium, copper, iron, magnesium, manganese, phosphorus, potassium, sodium and zinc. How does honey lighten hair? Peroxide. But not hydrogen peroxide, which is found in a brown bottle, and will make your hair turn orange and weeks later will eventually cause it to break off. Stay away from that, please. There is natural peroxide in honey that is activated with water. It is safe to use for hair – repeatedly. Heather! I do like to leave it on at night too. I think it works better. So glad you found this too. I just tried this today and it really works! My husband even noticed. No, it’s not as dramatic as coloring with chemicals, but there is a definite difference. I might try it again today to see if it lightens it even more. I’m so happy I tried this! Thank you so much for the recipe! Can I leave the distilled water / honey / cardomom mixture sitting for more than one hour ? Sometimes , I would like to make a mixture in the morning, leave it sit , then apply it when Iget home from work. Because I have found that , on my hair , leaving it on overnight works well. Can I make it ahead of time ? Can I mix the distilled water / honey / cardomom ahead of time? I leave it on overnight. Sometimes , I am too tired at night to make up a batch………wait an hour . No According to the studies, the peroxide is gone within two hours. But — you can mix it and apply it immediately and leave it on overnight. Even though the studies say the peroxide is gone within two hours, I find that leaving it in overnight does make more of a brightening impact — and the honey is also a great conditioner. But if you want to be sure you are getting the maximum peroxide levels, put it on your hair within the first hour! am wondering if the cinnamon will tint my grey hair? Because I don’t want that I just want to lighten my darker hair. Please don’t use cinnamon. I tried that once, and my scalp felt like it was on fire. I rinsed the stuff out immediately, but it still burned most of the day. The cardomon, honey, and water mixture do really work. I did this a couple of years ago, and after the fourth time, my dark brunette was visibly lighter and healthier looking.